You may click on “clean up system files” to unlock the cleaning of additional restricted locations. Each item is listed with its name, e.g. Delivery Optimization Files, and the disk space that is used by it. Comet is a promising program especially if its developer implements functionality that Microsoft’s Disk Cleanup tool or Settings application don’t offer. 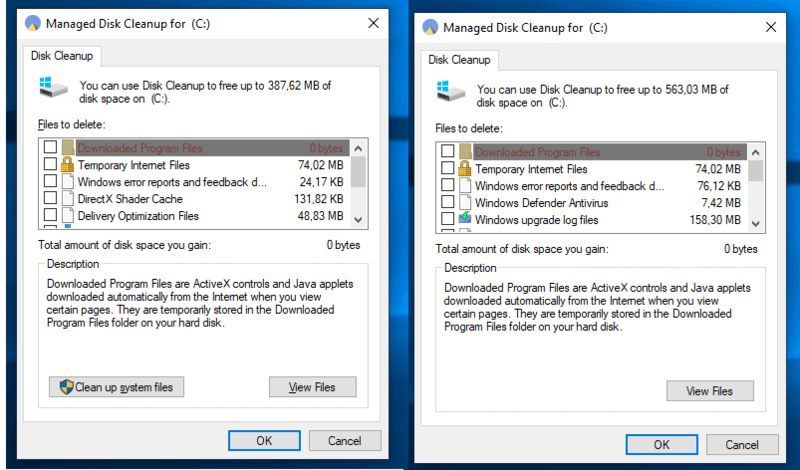 There is really no reason why Disk Cleanup could not support more locations to clean up or even support custom cleanup locations that the program remembers.